Hello lovely readers! 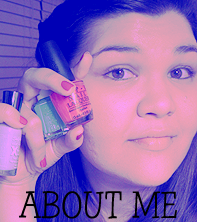 I've taken a little bit of an unintentional hiatus from my blog. Btu now I'm back with a ton planned for 2015! Today I have another product from Born Pretty Store for you. This beautiful set of 4 Elegant Floral Nail art brushes. This set comes with 3 liner brushes and 1 small flat brush. The bristles are synthetic, very soft and extremely flexible. 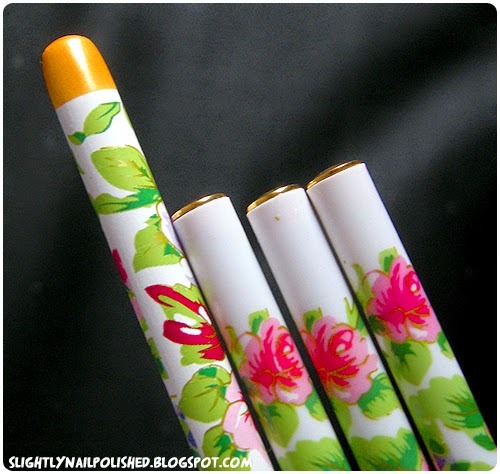 The brush handles are decorated with a beautiful floral design. The ends of the brushes (shown above) could also be used as very large dotting tool. 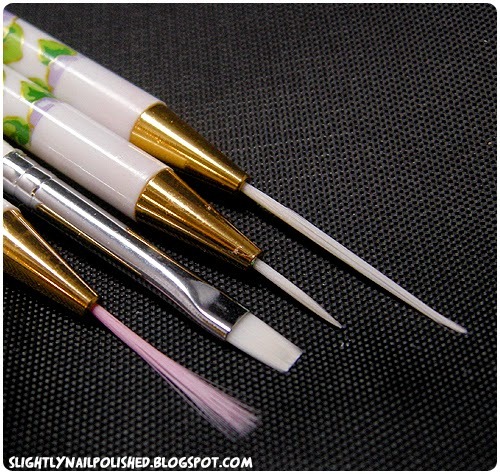 The liner brushes are flat while the flat brush has a rounded tip. Another look at the brush bristles. Aren't they fabulous? I really love this brush set. As far as brush sets go, you don't need anything more than this. 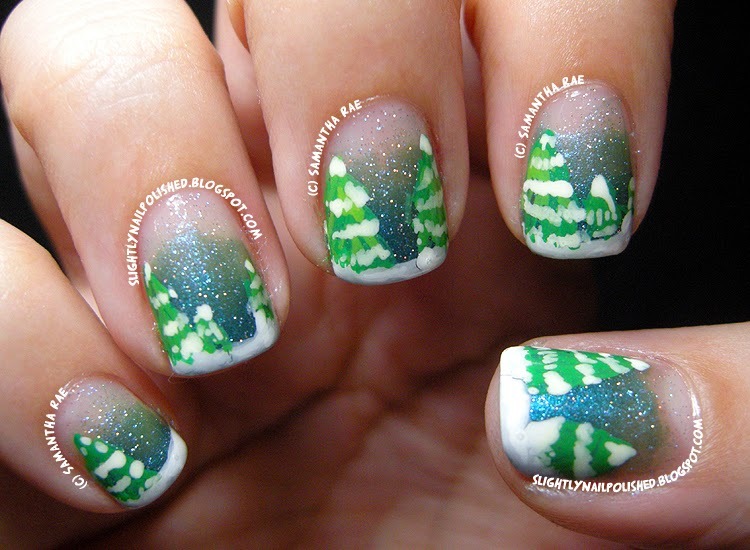 I used this brush set to create this design (inspired by Robin Moses of course). They worked out wonderfully. 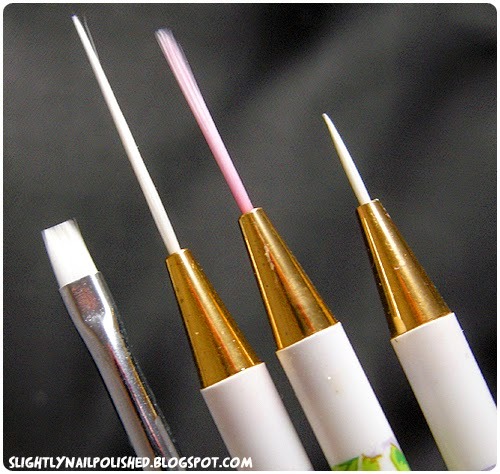 The liner brushes create such small, delicate lines. The amount of detail they can achieve is amazing. They really held up for being so flexible. And the flat brush I used to clean up my cuticles. The 4 pc. 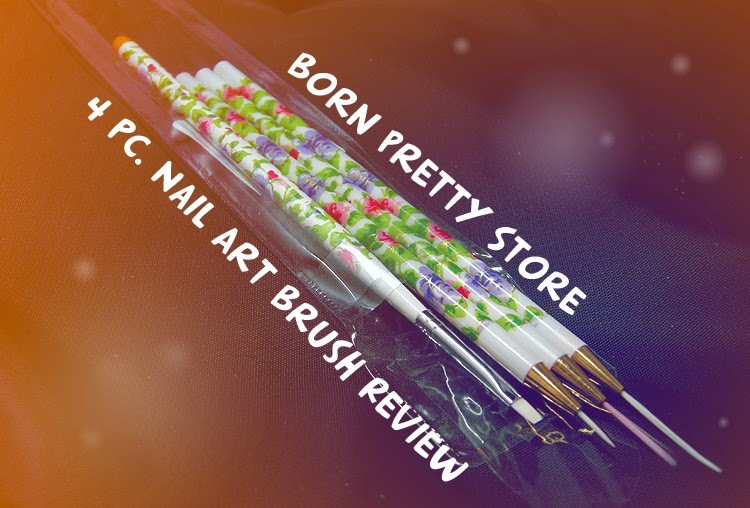 Nail Art Brush Set sells for $3.44 on BornPrettyStore. It's an amazing deal with each brush only .86 cents! I highly suggest everyone buys one of these sets. You won't regret it, I promise you. And don't forget about the coupon code Born Pretty Store gave me! Use it now to get 10% off your next purchase. And in case you forgot here is the code: SR10K31. And tell them thank you!